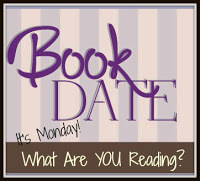 Book By Book: It's Monday 1/1! What Are You Reading? It's Monday 1/1! What Are You Reading? 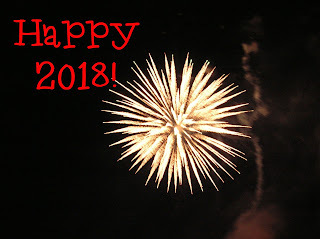 Can you believe it's now officially 2018? Sounds like something from a sci fi book, doesn't it? In fact, my husband, son, and I just watched the original Blade Runner (1982) this week, and it was set in the futuristic world of 2019! No life-like androids yet hiding among humans, but interestingly, the book and movie did not predict smart phones - Harrison Ford still had to find a pay phone (albeit a video pay phone). We had a quiet holiday week because our older son was home sick - just a bad cold, but with our immune problems, it hits us hard. He got up off the couch yesterday and went back to work, so hopefully, he is on his way back. Unfortunately, I now have bronchitis. I don't feel too bad yet overall, but I was coughing all night long and chased my husband out to the guest room. Luckily, I had an extra Zithromax pack leftover (my son and I get bacterial bronchitis a LOT), so hopefully I will be feeling better by tomorrow. Anyway, a lot of catching up to do after the craziness of the holidays, so here's what we've been reading the past two weeks. You can also see what books we gave and got for Christmas here. I finished Small Great Things by Jodi Picoult, one of my favorite authors. My son gave me this novel for my birthday this summer. Her books always focus in on a big issue, and this one is all about race. Some chapters are from the perspective of a white supremacist, and those are REALLY difficult to read - just horrifying. But I guess that's the point. There are kind and relatable characters, too. The novel is a courtroom drama that deals with both overt and subtle racism and was fascinating, gripping, and very moving. My next book - and my first book of 2018 - is Only Child by Rhiannon Navin, a debut novel I am reviewing for Shelf Awareness. It's about a school shooting and its aftermath from the perspective of a six-year old boy who is unhurt but loses his older brother. It is gripping and powerful - seeing these events and people's reactions through the eyes of a child is truly remarkable. I finished an audiobook, American Street by Ibi Zoboi, a YA novel that was a finalist for the National Book Award...and with good reason. I was immediately pulled into this story of a teen girl who immigrates to the U.S. from Haiti, while her mother is detained by authorities. Her story of trying to adjust to life with her American cousins in cold Detroit, while also trying to get her mother released, is powerful and moving. After one audio and one book dealing with racism and other heavy topics, I needed something lighter, so I ended my reading year with one last audio book: The Lotterys Plus One by Emma Donoghue, a middle-grade book by an acclaimed adult fiction writer (author of Room and other novels). I loved this fun, heartfelt story about a family with 7 kids and 2 sets of gay parents who must suddenly come to terms with a before-unknown grandfather with dementia who moves in with them, whom they nickname Grumps. This s the most unusual family you will ever meet but also the most endearing. I never wanted it to end. My husband, Ken, is still reading a birthday gift from our son: Cephrael's Hand by Melissa McPhail, book 1 in A Pattern of Shadow and Light series. This is one of our son's favorite fantasy series, so he wanted to share it with his dad. It's 780 pages long, so it's keeping him busy! Our son, Jamie, 23, finished re-reading a favorite trilogy, The Night Angel series by Brent Weeks, with book 3, Beyond the Shadows. Between school being out and being sick on the couch for a week, Jamie had plenty of reading time, so he dove into one of the hefty fantasy novels we gave him for Christmas, Dawn of Wonder by Jonathan Renshaw, book 1 in The Wakening series. He is LOVING it so far and is almost finished with this 700+ page book that he got one week ago! Books for Christmas - what we gave and what we got! 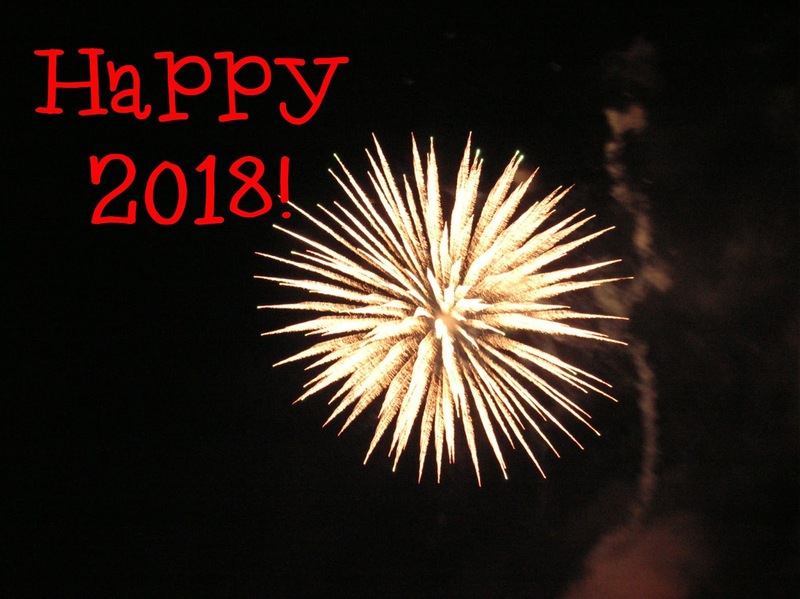 Here's to a happy and healthy and book-filled New Year! I've added Only Child to my list to check out when it publishes. It sounds riveting. It's well said: 'book-filled' :-). Thank you and All The Best for you and your family. Happy New Year! I hope you feel better soon. I got American Street for Christmas so hope to read it soon. I'm so sorry that you're sick--what a way to start the new year! I hope you feel better soon! I've been wanting to read Small Great Things. It was one of the possibilities for my book club this year, but we opted for something else, so that title went back to my wishlist! I remember when Bladrunner's future seemed so far away. Happy New Year. Come see what I'm reading. It's Monday 1/29! What Are You Reading? It's Monday 1/22! What Are You Reading? It's Monday 1/15! What Are You Reading? It's Monday 1/8! What Are You Reading?